​​When it is necessary to remove tramp oils in the coolant tanks of machine tools or to skim off surface oils in ultrasonic, process and chemical baths, industrial washing machines, industrial wastewater collecting tanks, etc. – RAW offers the right Belt Skimmer. ​Belt Skimmers are a type among a wide range of Oil Skimmers. 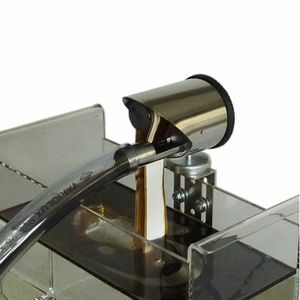 Our Belt Skimmers remove oil by means of immersion and adsorption. This Oil Skimmer type performs the oil recovery via an oleophilic endless belt made of synthetic material or textile fabric. Oil sticks to the belt but not water-based liquids. 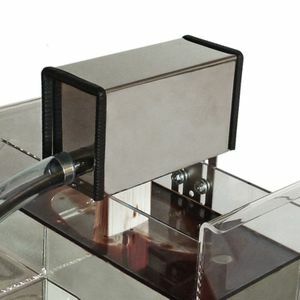 ​The belt of the Skimmer is immersed in the liquid, it recovers the oil and pulls it up over the lower tail pulleys. 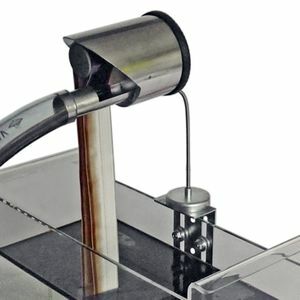 The oil is then mechanically separated from the belt of the Skimmer through a scraper and is conveyed to a recovery tank. RAW Belt Skimmers clean economically and efficiently. RAW Belt Skimmers are available in many different sizes, from very compact designs - to fit also in tight spaces - to large units with correspondingly high recovery rates. The belt length can be selected, so that even deeper tanks are not a problem, their placement is flexible. Large amounts of debris or solids (especially sharp metal chips) in the oil lead to increased wear of the belts. Due to their excellent suitability for use in medium and small tanks, these Belt Skimmers are the preferred choice in particular for the metalworking industry. RAW Belt Skimmers are suitable for virtually all oil viscosities. Solids like metal chips do not affect the Belt Skimmer, but the skimmer belt may wear out faster when there are sharp metal chips. The recovery rate is determined primarily by the width of the belt and the rotation speed. The drive rollers of RAW Belt Skimmers are made of PVC and resistant against most commercial and industrial chemical substances. 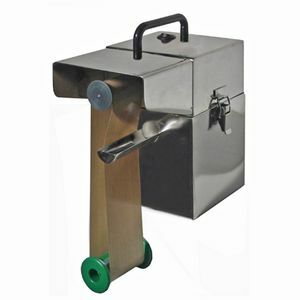 The ballast roller is made of stainless steel with a PVC sheath. Especially the types 300-28 and 400-56 are suited for use in strong acid and alkaline baths. For these two models, a technology for sealing the axle gaskets is employed in order to avoid a corrosion, caused by the corrosive fumes, on sensitive parts in the engine and gearbox. In an environment where explosions may occur the Belt Skimmers must not be used! 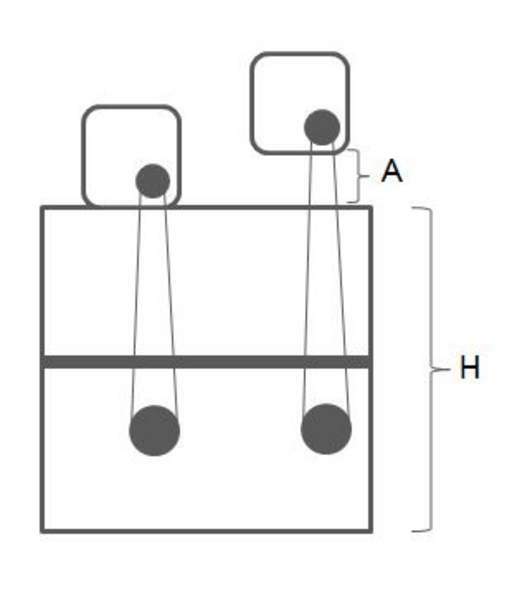 To determine the belt length, the height of the tank (H) in mm should be considered. If the Skimmer is mounted at a certain distance (A) from the tank, this distance (in mm) should be added to the tank's height. Belt lengths are available in increments of 200 mm (600, 800, 1000, etc.). Please round down your result to the next lower value. When ordering belts, please always indicate this center to center length. Removing foreign oils (tramp oils*) in coolant tanks increases coolant* lifetime. Machinery operators avoid the risk of infections caused by dirty coolant emulsions/dispersions** and of being exposed to malodours. In order to remove oil and grease from industrial parts in industrial parts cleaning systems (ultrasonic baths, parts washers, etc.) in an optimal way, it is necessary to skim off floating surface oils. In process/chemical baths oils must be removed in order to protect the filtration systems. In metalworking plants and food processing plants it is necessary to remove oils before proceeding to the next steps. Industrial plants are required by law to remove oils before disposing of process water. * Coolants are used in the metalworking industry to cool down and lubricate metals during the metal cutting process. The formation of microorganisms (bacteria and fungi) is favoured by the presence of germs in the water, a too low pH value of the emulsion/dispersion, insufficient agitation of the emulsion, impurities coming from outside (tramp oils), etc. ** Tramp oils are undesired oils from the machine tools. Emulsions and dispersions normally used in the metalworking industry are subjected to extremely heavy stress such as introducing tramp oils from the machine tools. If tramp oils float on the surface like a thick cream layer, the emulsion can not breathe. When an emulsion is not able to breathe, it dies and causes malodours.